One day each year, Mt Vernon Avenue becomes an outdoor art gallery. This neighborhood teems with small children and dogs. Youngsters can make sand paintings or spin art. 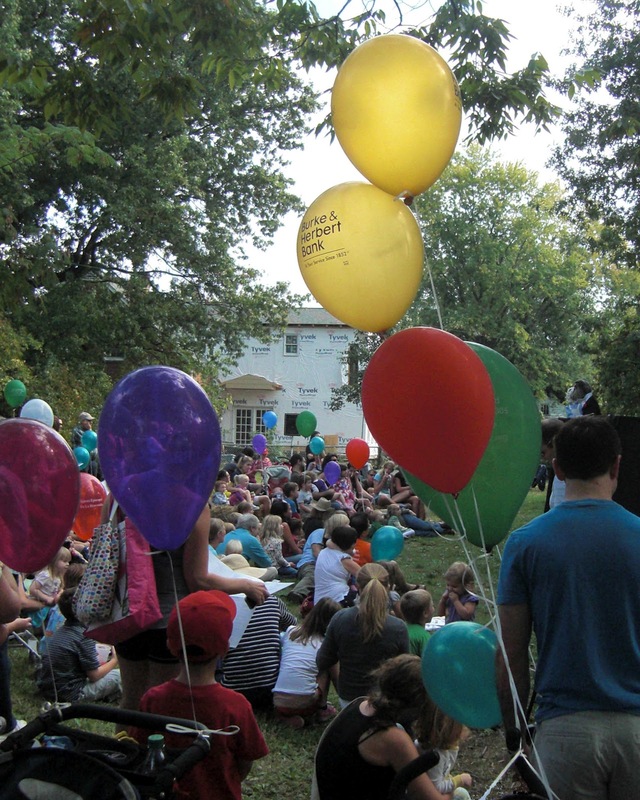 One "performance venue" delights the little ones with singalongs and puppet shows. 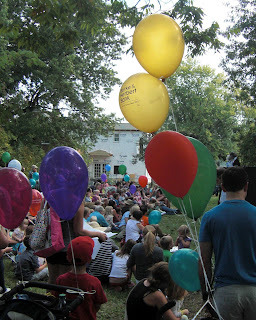 Where there are kids, there are balloons. When the sun comes out, they glow like stained glass. A baby clutched her balloon like a teddy bear. It popped. She jumped in her father's arms but did not cry. I sat in the shade and watched a red balloon, then a blue one drift across the sky. The escapees carried off their weightless cargo of helium, leaving behind wailing, disappointed toddlers. Delight and disappointment. Such is the nature of balloons.